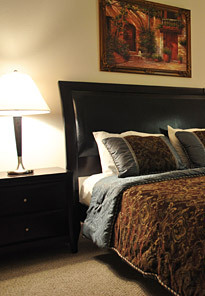 SleepMed of Santa Barbara was established in 2006 and consists of a fully accredited 4 sleep room facility. SleepMed of Santa Barbara is committed to provide the highest quality care and personal support for each of our patient's sleep needs. We evaluate and treat the whole spectrum of sleep disorders. SleepMed has highly trained and experienced sleep technologists who have received specialized training in the field of sleep disorders. We are accredited with the Joint Commission (JCAHO).